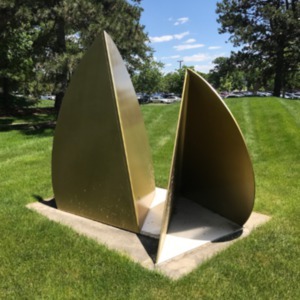 Two vertical, juxtapositioned, partial arcs, comprised of planes joined in a pyramid fashion. 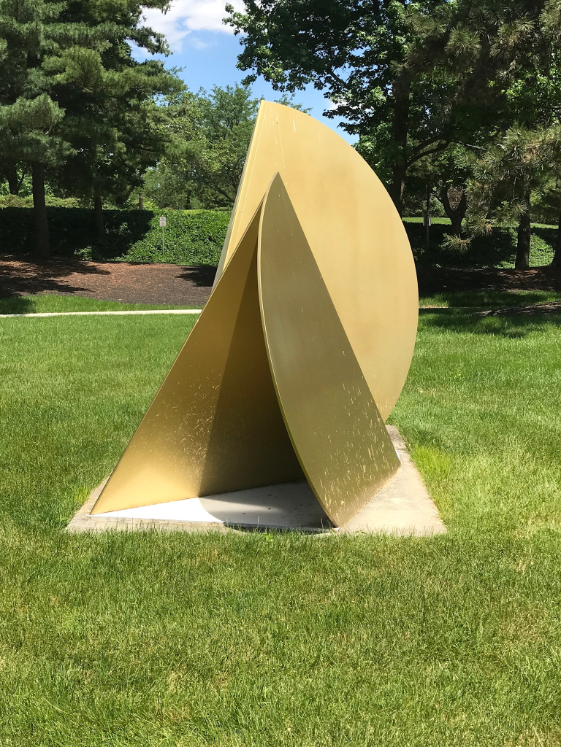 One of the outer arcs has a triangular shape cut out towards the outer edge. 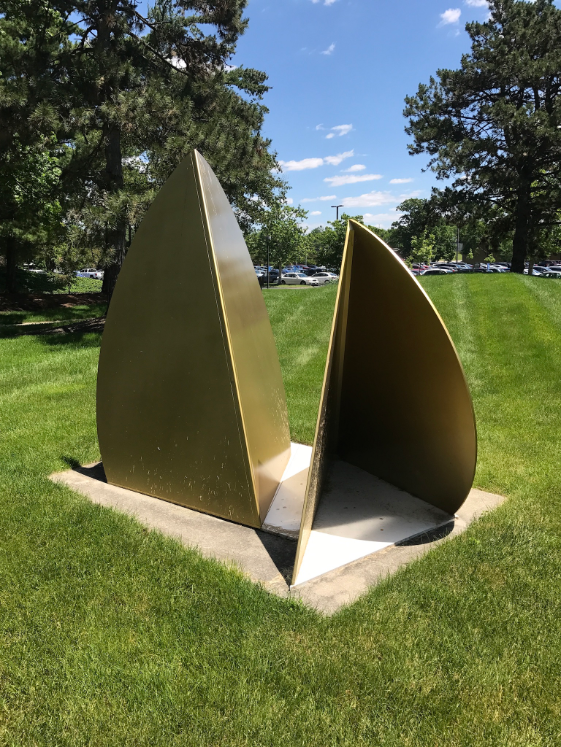 These sit on a metal base and another shaped plane. 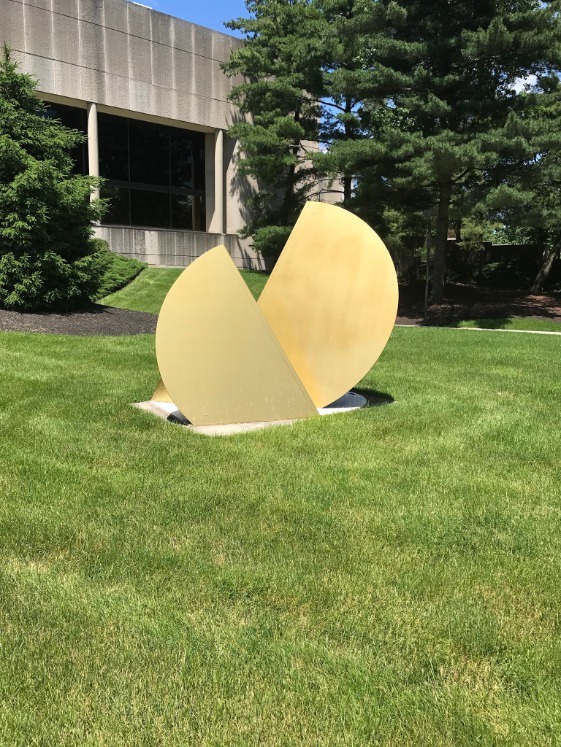 The sculpture and metal base stand on a concrete, rectangular slab. 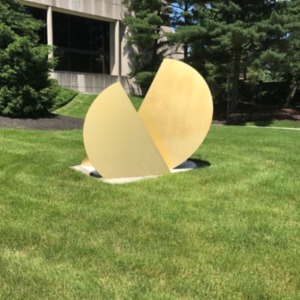 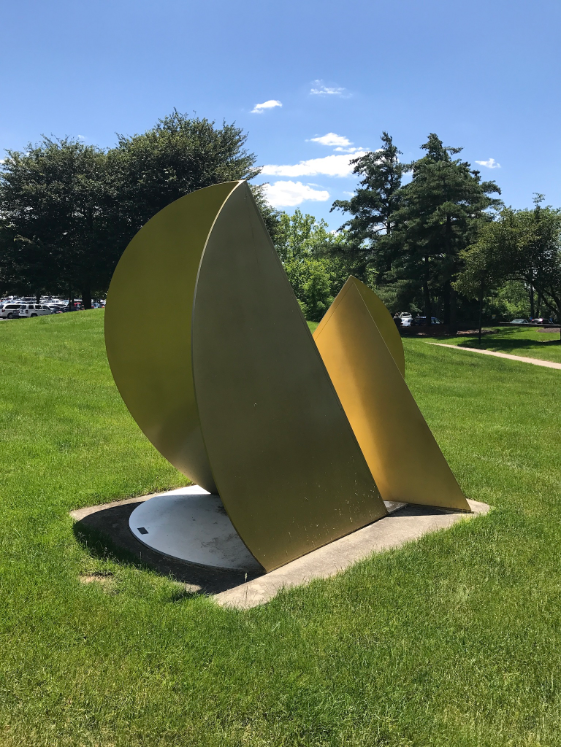 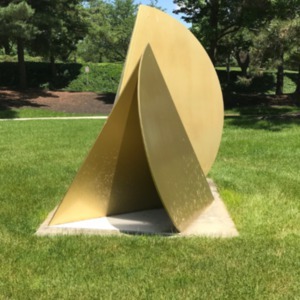 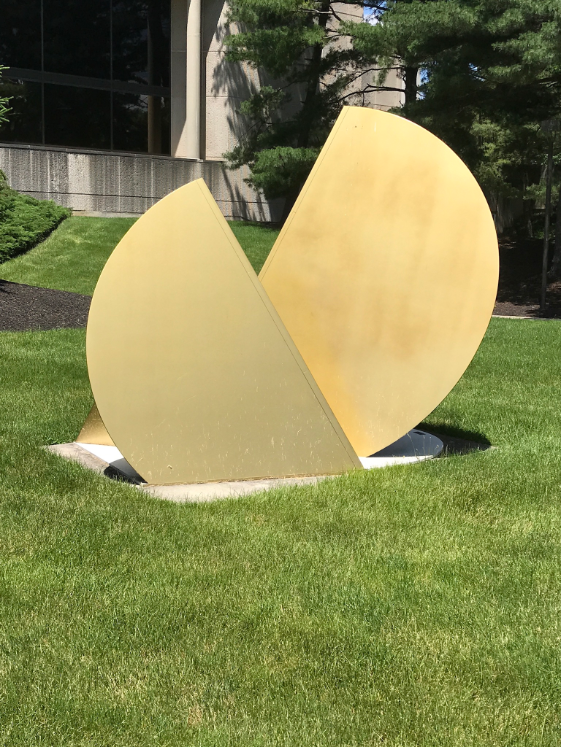 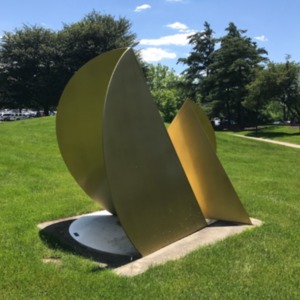 : Charles Eugene Mathison, “Reflections of Excellence,” Ohio Outdoor Sculpture Inventory, accessed April 20, 2019, http://oosi.sculpturecenter.org/items/show/720.